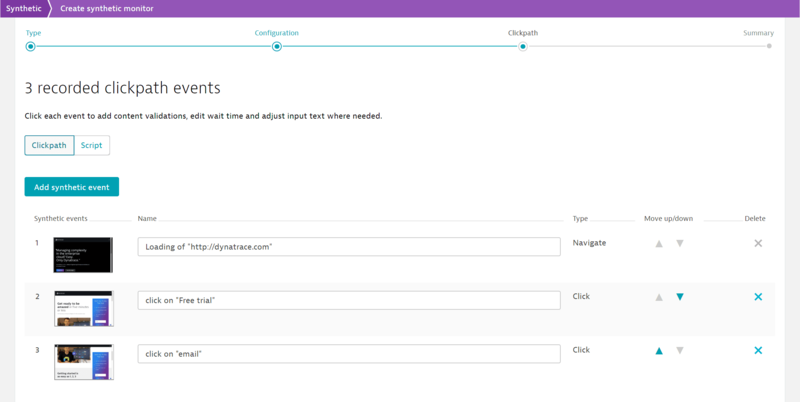 Dynatrace Synthetic creates a separate synthetic action for each page interaction that triggers a web request, including a page load, navigation event, or an XHR request. Synthetic actions (similar to user actions for Real User Monitoring) hold the performance data that&apos;s collected during the playback of clickpath events. 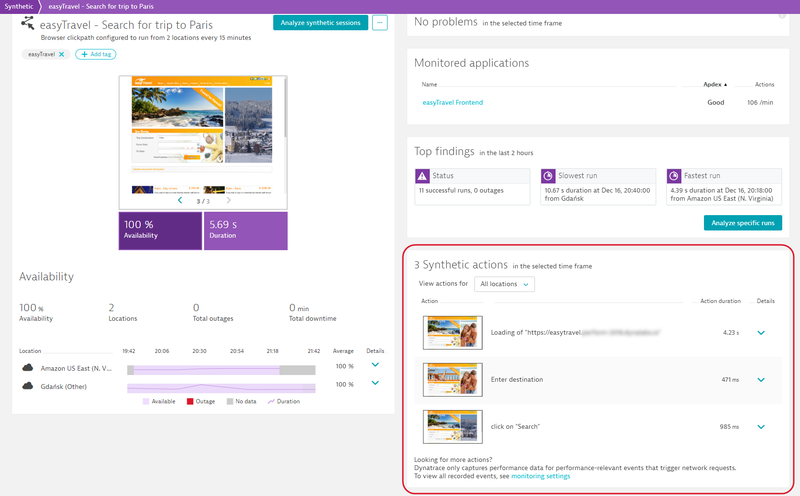 On the right side of the monitor details page, the section Clickpath actions shows the count of synthetic actions for this monitor. When recording or editing a clickpath, you&apos;ll notice that your interaction with your web application is captured in terms of events. The screenshots below show events captured during script recording and in edit mode. Note that an event is not the same thing as an action—only events that trigger web requests are called actions, so your script might not have as many actions as events. When first setting up a clickpath, the Summary screen clearly outlines the number events vs. actions in your clickpath. You can always access and edit your event list: Select your monitor from the Synthetic tab > click ... at top right > Edit > Recorded clickpath.